Up-and-coming Canadian roadracer Jordan Imrie will race in the AMA Pro SuperSport series in 2013, with TPL Racing. Imrie (hailing from Winnipeg) had an impressive 2012 season, winning 3 AMA National Amateur titles and a Championship Cup National Title; he ended up being co-named AMA Amateur Rider of the Year. This year, he’ll be aboard TPL’s #45 CBR600RR. 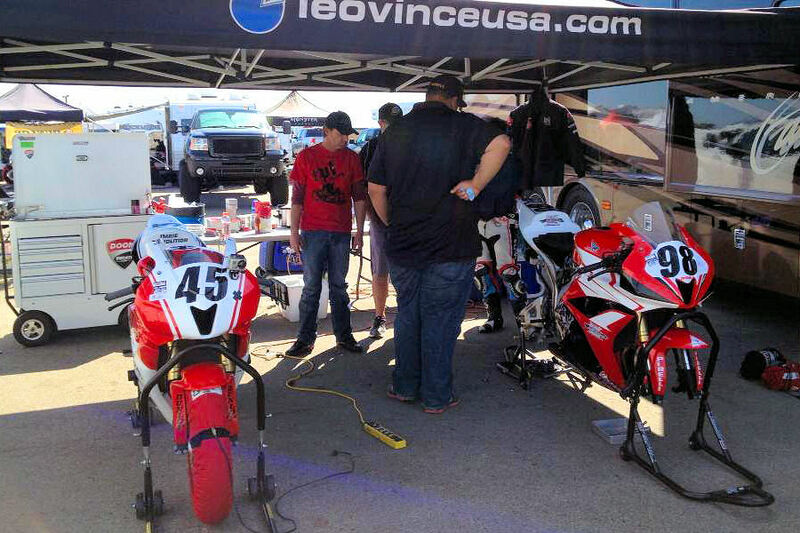 TPL mainly races Ducatis, but they do put a couple Hondas on track as well. You can find them here on Facebook.